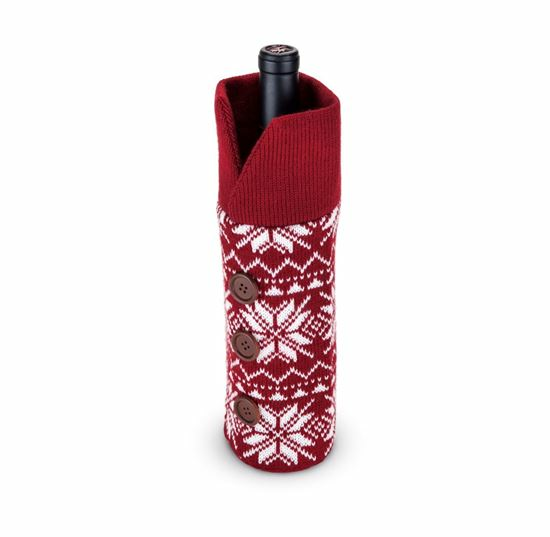 Keep your favorite vintage cozy in winter weather with a wine sweater perfect for one bottle of red or white. It’s knit from red and white wool itself, in a classic Nordic snowflake pattern, and finished with a trio of big wood buttons sewn in a perfect line down the front. Simply pop the cork and kick back for cozy fireside or après-ski sipping.